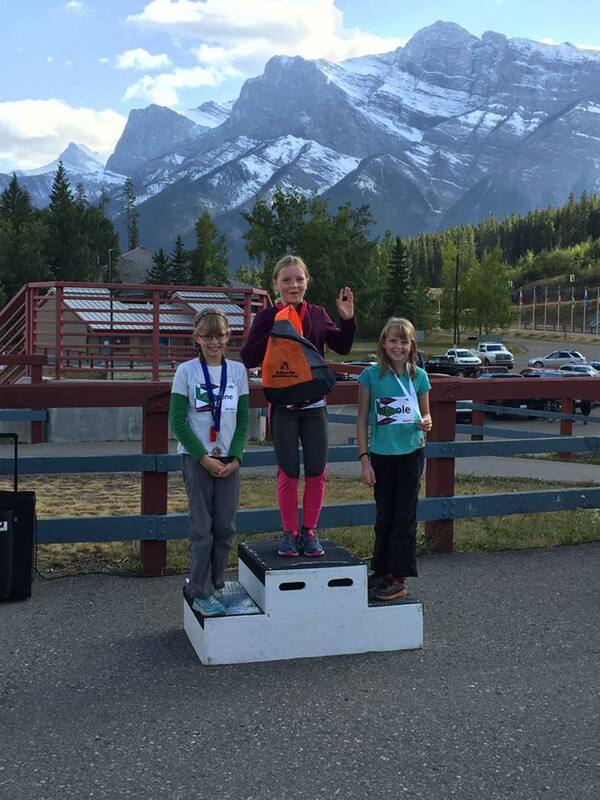 A big thank you to FWOC for putting on such a quality event in Canmore! Despite challenges with bears and permits, all three events brought lots of competitors (117) from many different clubs. 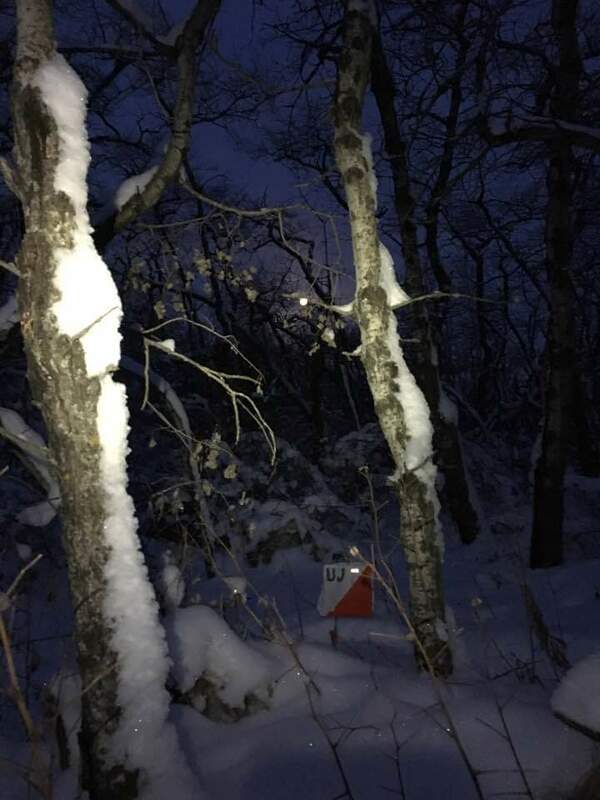 Orienteers from FWOC, EOOC, GVOC, Sage OC, KOC, Coureurs de Bois, COC and OCIN (US) and Norway enjoyed the two-day event in beautiful weather on great courses. Kudos to the organizers - Karen M, Marion, Kitty, Jane, Adrian, John R, Teresa & family, Phillippa and Kurt, Margaret & David C, Clarence & Don B, and Marsha. AOA provided BBQ, medals, top finisher prizes and the biggest success was the Kids Prize Draw for all the junior finishers. The kids also found ways to amuse themselves with the "Kids Zone" activities.This year AOA tried to add to the fun & social aspect of these events and we hope that everyone had a great time. We are looking forward to next year's Alberta Championships, to be organized by EOOC tentatively somewhere around the same time next September. Registration exceeded expectations for this course. 11 people signed up, including SOGO coaches, volunteers, and junior coaches - and to our big surprise 3 teachers (with no previous orienteering experience) from Grande Prairie, Airdrie, and Canmore who were interested in bringing the sport back to their communities.It is great to see the growing interest in our sport, especially when it is extending outside of Calgary and Edmonton. 42 club representatives attended from both FWOC and EOOC at this year's Retreat. It was a very productive and busy weekend with lots of successful sessions and, of course, the AOA AGM. Some of the highlights were the presentation on the World Masters Games in New Zealand by Marsha with Marion, Kitty and Christin's help. We all got to enjoy a glimpse of faraway orienteering! This was followed by Michael Svoboda's HP athlete report about his JWOC experience including some very detailed technical points which triggered many conversations. The morning ended with a brilliant presentation from Doug Swanson who reminded all of us about the importance of the positive mindset and success in sports. The afternoon was spent on strategic planning and presentations, which is going to shape the upcoming year's goals for AOA. It was great to see the involvement and feedback from the members which the AOA Board plan to analyze and incorporate into the next 4-year plan. The AGM meeting went very smoothly and we all had a lot of information to reflect on thanks to the 2017 reports. All AGM reports presented can be found on our website: AGM Meetings. We are delighted to announce that all the existing Board members continued to stay on the AOA Board and our new President is David Campden from FWOC. Please feel free to have a chat with them at your club events if you have any questions or feedback. After all the meetings, the night-O activity was greeted with great excitement: the night was cold, dark, snowy but super fun. Thank you, David C for organizing it. It really helped to shake off the whole day sitting in meetings and helped us to continue to next day with some exciting sessions. AOA will identify the next steps in the strategic plan and continue engaging members to get involved with the board work through committees. In 2018 we will make a call to join us to develop any new initiatives. If you are interested in any of the above topics please have a chat with one of our board members and please let us know if you want to become more involved. 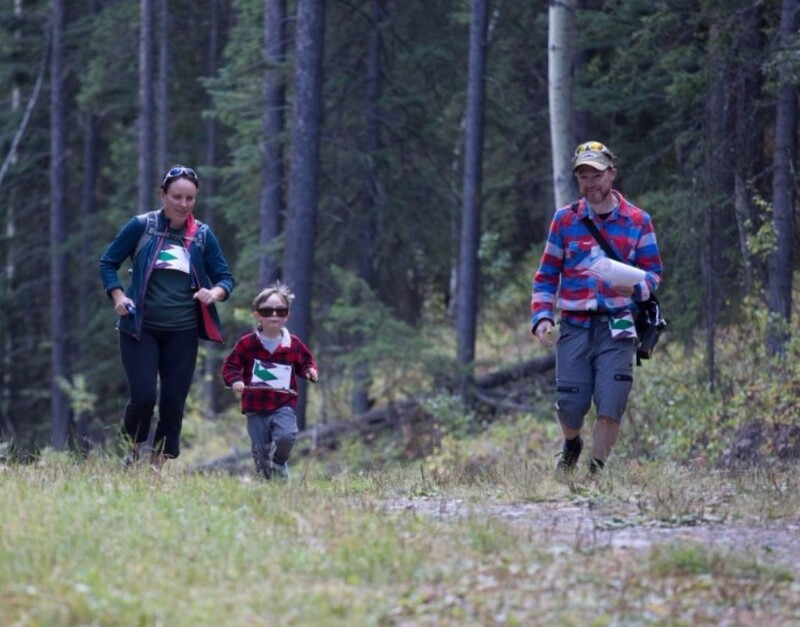 We think that one of the best measurements is that we show a steady growth in membership numbers which is something to be celebrated as a result of the volunteer work everyone offers.Thanks for your continued support to make Alberta Orienteering successful. 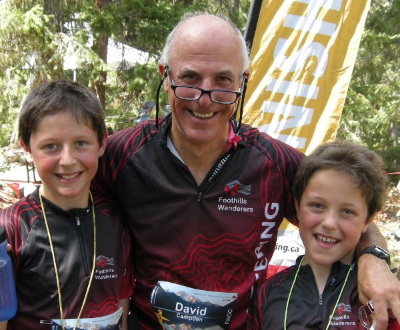 My first orienteering competition was at the 2014 Canadian Orienteering Championships in Whistler. I got lost at the start of my first race, trying to find the location of the start triangle. I have two kids in the SOGO programs (both level 3). As AOA President and with Bogi's continued great work on outreach, I hope we can add to the existing two Alberta orienteering clubs. Maybe a resurrection of Parkland Orienteering Club in Red Deer? Double Duck, near Cranbrook – I love the open pine forests and interesting topography. Congratulations to Gene & Marg Brenda and Geraint & Marilyn Edmunds on becoming AOA Honorary Life Members. Gene and Marg Brenda have devoted themselves to EOOC activities since the early 1980’s, including various key roles in local and provincial competitions. Gene enjoyed course setting, notably for the World Masters Champs in 2005. 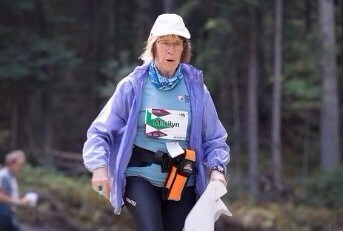 Marg introduced many a new orienteer to the joys of navigating through Edmonton parks and the forest maps in rural Alberta. Geraint Edmunds has set courses for all levels of events from local city park weeknights up to national championships. He has spearheaded the EOOC’s junior program, now known as Kids Run Wild, as well as the schools' program. He has done many mapping projects, delivered officials clinics to many EOOC members and put on several Rogaines. Marilyn Edmunds has served on the EOOC Board, with Geraint, for many years. She focused on membership, communication, and registration at countless Wednesday night events. She welcomed newcomers, kept track of the club’s history and delivered all sorts of statistics to AOA over the years. The EOOC “Volunteer of the year” award is called the “Edmunds Award” to recognize Geraint and Marilyn’s long-time contributions to the club. 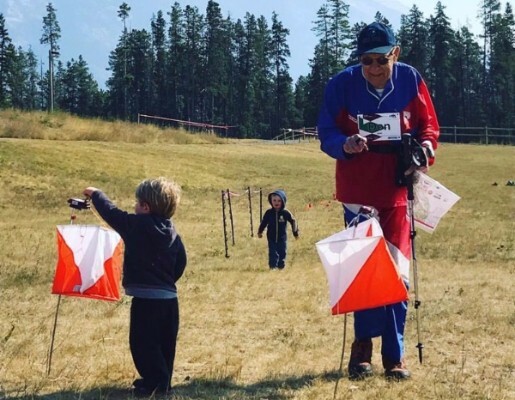 Thank you for the many years of service to orienteering in the Edmonton area. FWOC is organizing this training/certification course for any club members. After completing this course you will be able to plan weekly club events. The course will be taught by Marion Owen. Sign up at theFWOC website. Please consider volunteering for our upcoming Casino. We still need 14 spots to be filled mostly in the night shifts as count-room staff. AOA would like to ask our members to support our Casino to raise funds for our continued operation. You are critical to making this happen. It’s easy, it’s fun, it's social and you’ll receive a free, delicious meal all while helping Orienteering in Alberta. No experience necessary. Thank you for supporting the provincial development of our sport! FWOC is planning to organize a spring training camp for all Alberta orienteers (and maybe some from outside Alberta! ), with AOA support. Stay tuned for details to come later. Do you enjoy reading event/training blogs? We were all impressed with Michael's presentation at the AOA Retreat. He is very detail oriented and focused on navigation techniques. I believe he has some big plans for the upcoming JWOC In Hungary. I bet we can benefit a lot from his training logs. He is currently in his first year of Engineering at the U of C.
From Emma's blog, you can pick up some strength training ideas and see how mixing up workouts and cross training can contribute to staying in shape. Emma is a student at UBC and uses GVOC events to stay sharp with Navigation. Tori is currently an ICU nurse in Calgary and very busy with her work schedule. 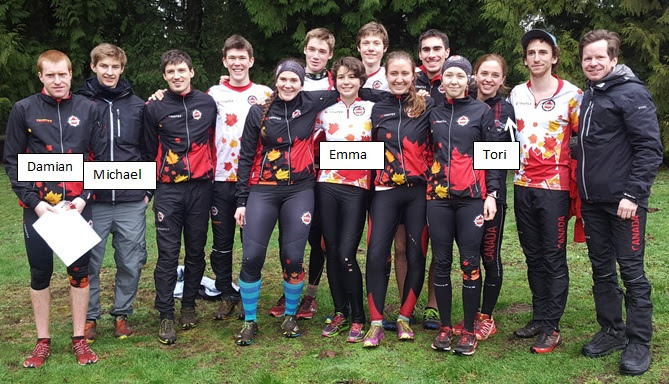 Did you know that Tori is the Athlete Representative on the Orienteering Canada Board? Which means she is a voting member of Orienteering Canada’s Board of Directors and also an active member of the High-Performance Committee.If you have any feedback on the HP program and athlete development please share it with her. Unfortunately, Darya suffered a long-lasting injury which prevented her from participating at JWOC this year. We wish her a speedy recovery and hope to see her participating in next year's events. Do you have a blog or story to share? AOA is looking for people to submit blogs or trip /event/ training reports to post it on our website. KRW and SOGO had a quite cold but fulfilling Fall session. It was great to see that the snow and freezing temperatures didn't scare away the participants. The coaches were so surprised when the first intense snowfall hit the ground and the SOGO numbers were still almost full at the practices. SOGO attendance continued growing to 1,214 participants in 2017. KRW is focusing on family engagement with 236 participants and many of them stay with the program year after year. Great work on raising resilient and adventurous kids who know how to handle the elements of nature. Both Clubs and AOA have provided significant growth in school program engagement: FWOC 332, AOA 172, EOOC an impressive 2056 kids were introduced to orienteering in 2017. 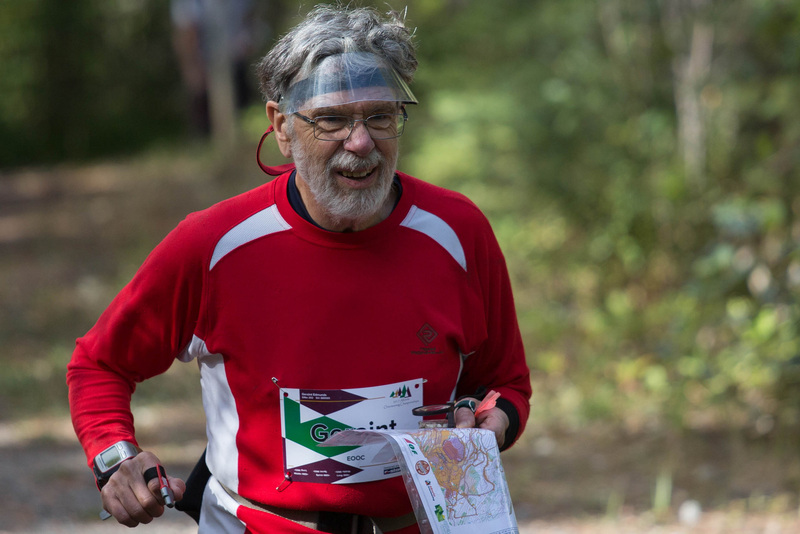 Let's keep up the great work - together we are spreading the word that orienteering is a great sport for everyone! With 360 participants in the dark finding controls while Zombies and Werewolves were on the hunt, Spook-O was another great success. Spooky orienteering was followed by games and a yummy dinner. 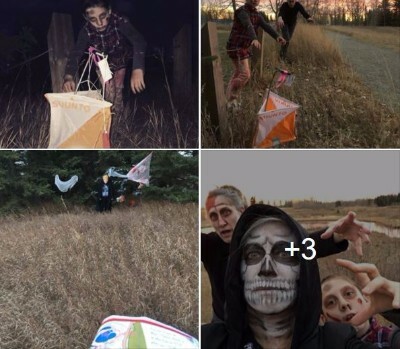 What could be more fun for Halloween? Applications must be received by December 1st. Visit ourwebsite to find out the details. We hope you all had a fantastic season! See you back at next year's events soon!